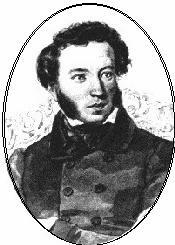 ﻿ Poetry Lovers' Page - Aleksandr Pushkin: "Why Have You To Sustain..."
You are here: Home » Russian Poets » Aleksandr Pushkin » "Why Have You To Sustain..."
"Why Have You To Sustain..."
In bashful sadness, o, my friend? It'll come -- the day of lamentations! Of time you now lose in vain! The easy sound of her steps.